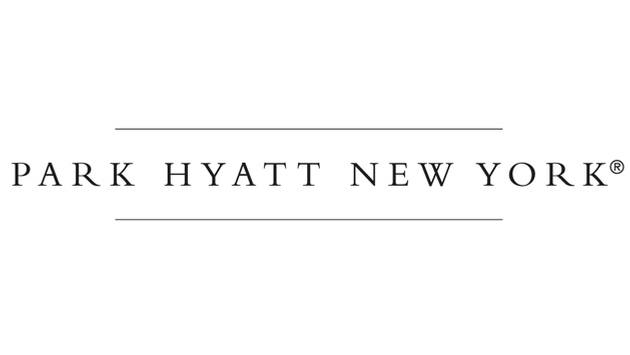 Park Hyatt New York, the flagship hotel of the globally recognized Park Hyatt brand, plans to make its grand debut this summer, offering unprecedented luxury in the heart of Midtown Manhattan. Guests of Park Hyatt New York will enjoy its prime location at 153 West 57th Street between Sixth and Seventh Avenues, which is within walking distance from Central Park, as well as across from the historic Carnegie Hall. Park Hyatt New York will feature 210 luxurious guestrooms, including 92 premier suites, all with floor-to-ceiling windows and nestled within the first 25 floors of the iconic, 90-story One57 skyscraper, designed by Pritzker Prize-winning architect Christian de Portzamparc. At 475 square feet, the standard rooms at Park Hyatt New York will be among the largest in New York City and the majority of deluxe rooms will span 530 square feet. Nightly rates for a standard room start at $795 to $1,295. World-renowned interior design firm, Yabu Pushelberg, is at the helm of Park Hyatt New York’s interior design. Inspired by New York’s most well-appointed homes, Park Hyatt New York’s intimate design will capture the energy and vibrancy of the city, utilizing signature elements tastefully layered with modern materials and furnishings. The firm curated a collection of intimate public and personal areas filled with art and custom furnishings. Executive chef Sam Hazen will lead Park Hyatt New York’s culinary operations, consisting of dining experiences in The Living Room; the signature restaurant; and event space. These venues will offer authentic, New York gourmet dining options, each crafted as a destination in its own right for the hotel’s guests and visitors, as well as culinary-savvy New Yorkers. The exquisite 60-seat Living Room, which features a bar that will overlook the historic Carnegie Hall on 57th Street, will lead patrons to the signature restaurant, which will seat 96. The hotel’s elegant ballroom, featuring illuminated white onyx walls and soaring heights, will offer extraordinary dining and entertainment experiences, and is large enough to host a seated dinner for 220 or a standing reception for 450. Additionally, Park Hyatt New York will include spacious meeting spaces and an unrivaled Executive Boardroom with an exclusive outdoor terrace. The hotel’s spa, Spa Nalai, will feature six all-inclusive treatment suites as well as private outdoor balconies. Inspired by sister Park Hyatt spas around the world, Spa Nalai will offer a unique menu of international treatments that will change seasonally and will include custom services. Incorporating precious ingredients sourced across the globe, Park Hyatt New York’s spa treatments will indulge the most discerning guests and be tailored to meet a wide variety of travellers’ needs, from addressing minor ailments to providing medical-grade services. Park Hyatt New York’s breathtaking three-story aerie will feature a steam room, hot tub, private changing rooms and indoor swimming pool with underwater speakers playing an exclusive soundtrack from Carnegie Hall. Overlooking the aerie, a 24/7 state-of-the-art fitness center will promote health and wellbeing activities for guests. Every aspect of Park Hyatt New York is being thoughtfully crafted with distinctive touches to complement the hotel’s residential feel. Art enthusiasts will enjoy a collection of 350 gallery-worthy artworks showcased throughout the property, with at least 10 pieces designed specifically for Park Hyatt New York. Park Hyatt New York will also be the only hotel worldwide to offer Tubereuse 40 bath amenities by Le Labo Fragrances. Additional exclusive partnerships with like-minded, iconic New York City brands will include Carnegie Hall, Sotheby’s and Central Park Conservancy.